[Guide] (Event) Guild Clash All In One Guide! Hello and welcome to my guild clash guide. I will be teaching you what guild clash is the best way I can. (1)~ Where can I find guild clash and join it? Well that's pretty simple, tap on the Guild Hall then select the 4th option the Guild Clash. 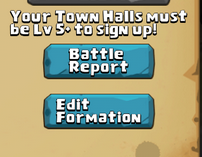 Guild hall can be unlocked at level 3 town hall however you have to be level 5 town hall to sign up for the guild clash. The requirement for you and your guild to join the Guild Clash is to have more than 5 members signed up, if your guild dosent have more than 5 members signed up it won't be able to participate in the Guild Clash! (2)~When can I sign up for the guild clash and how long does it last? You can sign up for Guild Clash every MONDAY at 12:00Pm to Thursday 11:59Am, you will have three days before the Guild Clash starts and If you don't sign up whitin the three days you won't be able to participate in it. Once the Guild Clash has come to the battle day (24 hours after you get assigned with 3 other guilds for the war) you and everyone in your guild that have signed up for the guild clash Will get 3 attacks each for each guild you battle (3 attacks a day) so you can get points for destroying the enemy bases, team that gets the most points in 24 hours wins the battle and once the time passes you move on to the next battle day with the next guild. You can get the following Rings, mutagen, souls, hero shards, gold, jewels and EXP eggs. If you do not claim the rewards before then they will be gone !!! The winning guild will earn three creds while the lossing only one! The more attacks you use the more rewards you will get if you use all of your attacks you will get 100% of the available rewards, however for example if you only use 3 out of the 9 attacks you will get 33% of the available attacks. The rewards get better if your guilds total trophies are higher since the chest level is based on the trophies rank. The higher trophies the higher level chests you get, however you also get very difficult match ups since you will be facing high level players at the high trophies rank. The base number of prized is based on how many members will sign up for the guild clash, the more members sign up the more base rewards you Will get. Every fort on the map will increase the HP and ATK of your formation, the nearer to the central fort the higher the increase in ATK&HP. However if your central fort is destroyed the ATK of the remaining forts will decrease. The guild chariot is a really helpful and powerful machine, it can deal a huge amount of AEO damage but I can also heal your hero's. 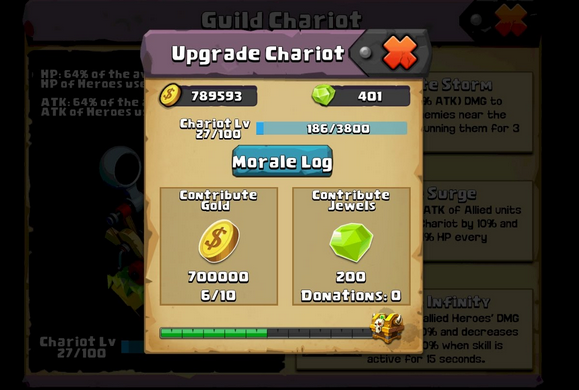 The HP of the chariot is based on your hero's, it's 49% of the average price hero's used. The attack of the Guild chariot is 46% ATK of the average hero's used. The active skill deals (300%) ATK damage to multiple enemies near the target stunning them for 3 seconds. A passive skill that increases the ATK of allied units near the chariot by 10% and restores 1% HP every second. Meaning that you can use the active skills without the need to worry about your rage, in Wich case it's really good to use hero's with very low cooldowns on their active skills. My personal favorite is the Sapphirix to use in the guild clash because he has a 2 second cool down on his active skill and does a huge amount of AOE damage, more damage = more points for you and your guild. 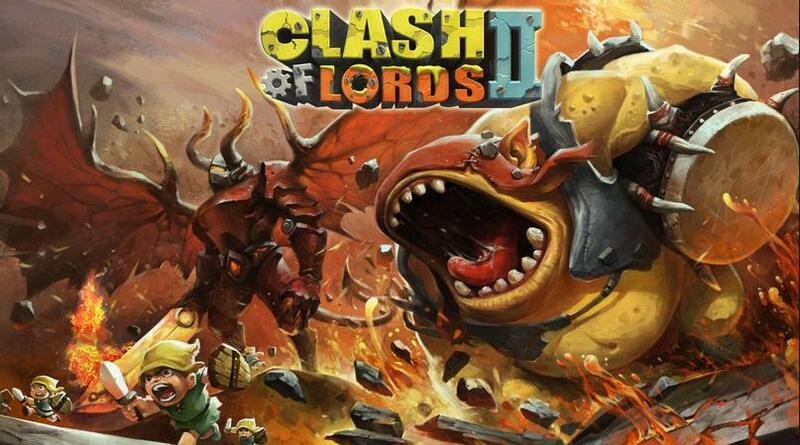 The Guild Bot will help defend your guild during Guild Clash, lords league and resource raids. The HP and ATK % is based of avarage HP and ATK of heros used. The Guild bot also reduces the DMG taken by 25% (at level 2 guild bot) during Guild Clash. The active skill of the Guild Bot. Missile Burst~ a missle at an enemy hero. Deals 50% ATK DMG and decreases nearby enemies ATK rate by 10% for 8 seconds. Roar Of Duty~ Increases ATK of all defeinding heros in town hall by 3%. Battle Aid~ Restores HP of all defending heros in town by 1% every 10 seconds. Latent Fury~ Increases rage growth of all defending heros in town by 1%. 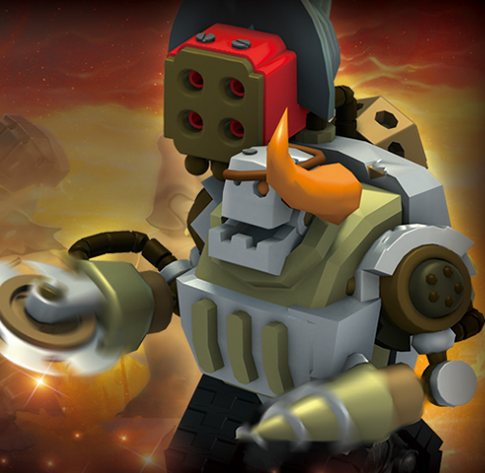 Bot Boost~ Adds 5% ATK and 5% ATK rate to defenses near the Guild Bot which explode upon death, hurling away nearby enemies dealing 100% ATK damage. *NOTICE* the stats were taken from level 1 skills, the % numbers increase along the levels. 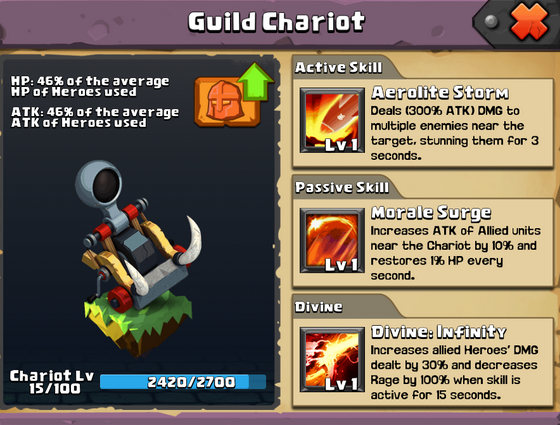 Every 10th level you are able to upgrade the Guild Bot skills. Skill points are needed to upgrade the Bot skills. The bot will be always near the Guild Hall so place it carefuly. The Bot is shared between the guild. Bot skills are specific to the individuals base. Be Careful, when you manage to kill the Guild bot it will explode and deal a big amount of AOE damage to ground units near it. I like to use my Sapphirix to deal with the Guild Bot Because when he dies and explodes he dosen't deal damage to flying units . The battle day starts at Friday 12:00Pm and ends Friday 11:59Am. The guild clash will start of with 4 guilds in a group for the group stage competition, each guild will take turns battleing the other guilds in the group each turn will last for 24 hours. Everyone that have signed up for the guild clash will have 3 attack each turn. It's very important to use all of your hero's and 4 spells to maximize the damage and the total amount of points you can get because the guild with the most points will win, if it's a tie the guild that got the higher amount of points in less time will win also the first guild that got 50.000 points will win the round. The amount of points you get is based on how much damage your able to deal. (8)~What Are The Best Heroes To Use. Since the Guild chariot divine will decrease the rage cost by 100% for 15 seconds once activated, the best heroes to use are the ones with very Low cool down time on their active skills for example Blitz bomber, Hydra However my personal favorite has to be the Sapphirix even tho he has a 2 second cool down on his active skill he's able to deal a huge amount of AOE damage to the defending base in the 15 seconds of Guild chariots divine. NOTICE: My computer is broken right now, i will fix the broken images once its fixed . thanks. I look forward to the rest and the pictures. You should mention your timezone when mentioning times. so the pictures can't get bigger for some reason but I will keep trying to see what I can do with them also I will add some more. What tha link??? Where is ??? /Updated, will be adding more later on. There is nothing ;) I wish good luck and a victory to us!